in 2015, compact disc sales in the united states fell by a rather breathtaking 31% and it would surprise me not at all if the figure for 2016 was every bit as impressive. though i have a box load of cds in the attic, thewashingmachinepost is utterly devoid of a device on which to play them. it is an insidious trend; the macbook pro we purchased at work only a couple of months ago has dispensed with the cd drive that is an integral part of its predecessor, while the macbook air on which the post is created each day has no such drive either. admittedly, we purchased a usb drive in case of unforeseen necessities, but by and large it must be accepted that it is a medium that has seemingly had its day. not only are we apparently more in love with downloading our music despite its alleged lower quality, but it seems we might be about to favour the same method of acquiring movies. the dvd drive is probably doomed in the same way. though there will always be those hanging on by their fingertips in spite of encroaching progress, but there's one particular reason to be joyously happy about the format's demise. though it often seemed as if the so-called jewel-case was designed to break if you only looked at it, never mind landing on the doormat when received from amazon, the cellophane wrapper designed to keep prying fingers away from the mirrored surface simply extended the anticipation of listening to that latest purchase. unless a letter opener, penknife or pair of scissors happened to be within grasping distance, the chances of removing the tantalising last bastion of protection could be frustratingly non-existent. i will cheerfully admit to having cracked the plastic casing during the cellophane removal, while trying valiantly to maintain an outwardly calm persona. similarly with the ubquitous dvd case, though those are admittedly less prone to cracking or breaking in the process. the only saving grace with a movie casing is the indentation on the opening edge; a bit of skilful persistence there, can often break through the clear wrapping and allow unfettered (and undeniably satisfactory) tearing asunder prior to viewing. 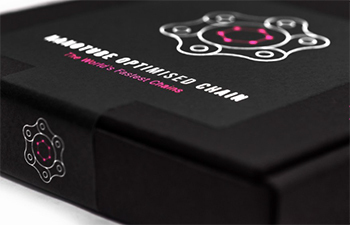 bicycle chains, on the other hand are almost always contained within cardboard or plastic or both. 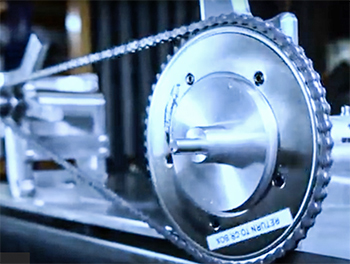 and unlike cds or dvds, at the point of chain removal, there is often more than a single tool to hand that will aid the opening process. there is, however, little satisfaction to be gained from ripping the wrapping from the average chain; let us not overestimate the utilitarian nature of those steel links, though perhaps under a certain set of circumstances, maybe such overestimation is justified. by the time you read this, we may already be aware of who is the men's olympic road race champion. 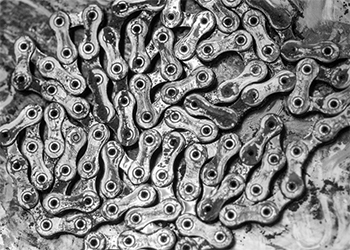 and should either or both have originated from the british camp, their hunt for a gold medal will have been aided and abetted by the fine folks at muc-off who have not only deep-cleaned their chains, but thoughtfully provided a highly frictionless lubrication that will have entered the realm of marginal gains and lessened the effort required to make it to the top. but, as in a short film seen by yours truly has witnessed, their efforts did not stop short at the less than gloopy stuff. 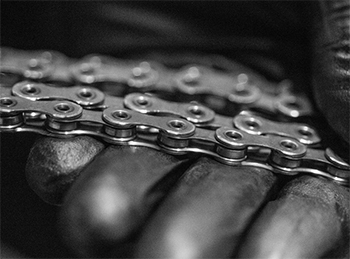 it will have been the team mechanics who affixed those chains to the respective bicycles, the very folks who benefit most from the unstinting efforts to package those chains in a manner befitting their excellence and expense. you would figure that 'behind the scenes' olympic stuff would inhabit the realm of the utlilitarian, but it appears you (and i) would be wrong. the chain delivery process evinced by this short muc-off movie demonstrates, if nothing else, that if there's a correct way to do things, then you do things correctly, whether you're thewashingmachinepost with a subsequently large gap in your bank account or prince bradley. the days of the stiff upper lip may have been consigned to history, but it's comforting to know that british industry still maintains an appropriate sense of decorum whether at the lea valley velodrome for an hour record or the samba inflected road and track in rio. the ability ot download a bicycle chain is reputedly some way off. my early years on islay were spent as a practicing artist, admittedly not quite at the level of poussin, cezanne or manet, but everyone has to start somewhere. having arrived in the hebrides in late autumn, there was a need to spend some considerable time acquiring a body of work that might serve as the basis for one or two paintings. the fact that this was hardly the period of islay's most clement weather was pretty much unavoidable; bills and invoices still arrived daily and ultimately needed to be paid. always on the lookout for a dramatic landscape, islay's west coast provided pretty much the ruggedness i had in mind and it was not unusual for me to have spent many a day over at sanaigmore on the northwest coast. the cliffs at sanaig are around a kilometre from the road's end, so in order that i might be found were i to have taken just a step too far while scrabbling across the cliffs (and in retrospect, i did so more often than i'm willing to admit), i left my bicycle against the wall adjacent to the gate. doing so could hardly have been considered a safety feature, more a wave from a man who was drowning. as a dyed-in-the-wool townie at the time, my outdoor experience of the wilds was minimal to say the least, and it's not being overly melodramatic to point out that the atlantic ocean was a long way down. and cold and wet. of course, it scarcely needs any individual to place themselves on the outer edge to incur a less than well-appraised risk. ever increasing motor traffic on roads that could benefit from a decent coating of smooth tarmac has undoubtedly multiplied the danger of the average cyclist coming a cropper at sometime. 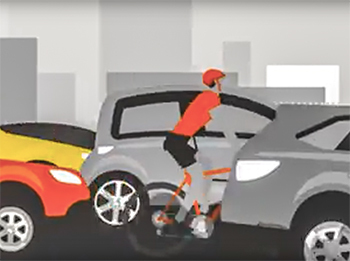 statistics reputedly show that incidents between motor vehicles and bicycles are considerably greater in rural areas than they are in town, the very places where there might not be anyone to witness a collision. though we all have our best interests at heart, wouldn't it be nice if we had someone, maybe even family, keeping an eye on anything that may impede a safe return home? i'm sure i need not provide a lengthy introduction to strava, what i have previously disparagingly referred to as facebook for cyclists, but one that i find i am in the minority of not making a part of my every bike ride. as i understand it, strava premium members are provided with live tracking' a feature that lets them see how they're progressing while still on the bike, rather than analyising any given ride after the event. 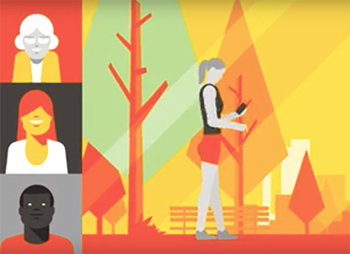 this particular service has now been enhanced with the recent addition of what strava refer to as beacon, providing premium users with the ability to nominate specified individuals to keep an eye on them while they're out. this could be friends, relatives or even mum and accomplished without the need for any of them to be strava users or have the app installed on their smartphone. 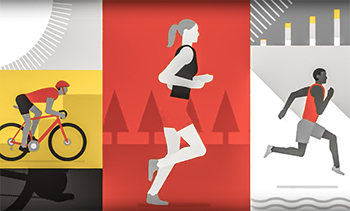 once setup, in conjunction with either your own smartphone or in tandem with a bar mounted gps unit, strava sends a secure, randomised web address that works in any web browser and includes your precise gps co-ordinates. that way, if you fail to arrive home when expected, or your position remains static for longer than seems right and proper, it ought to be simplicity itself to figure out just where you are. or were. as strava's senior product manager said "Let's say it's 3:30, you said you'd be home at 3:00 and you're not moving towards home. That's a good indication that they should reach out to you to see what's up. Maybe you stopped for a coffee, or maybe you got a flat tyre. 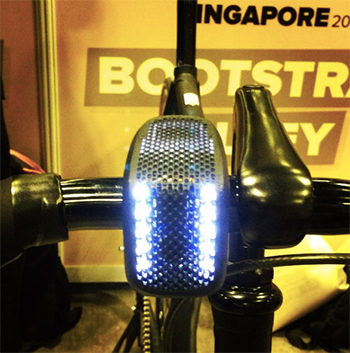 Beacon is designed to help the cyclist or runner in that peace of mind scenario; to keep people from unnecessarily worrying about you." if you're a strava user without a premium account but with a worrying mum/dad/husband/wife/boyfriend/girlfriend (delete as applicable) beacon may be the very palliative required. i may or may not have told you all this, on the singular basis that i prefer to ride devoid of numbers on my handlebar. i thus reserve the right to deny everything, if questioned under duress. 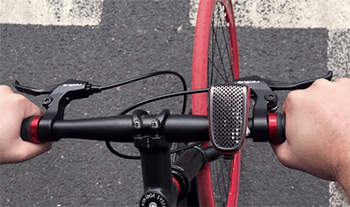 is a bell necessary on a bike? in the early 1990s, having moved to the hallowed isle, i thought it a wizard wheeze to use my bicycle as a means of returning to scotland when intending to visit parents, friends and colleagues. 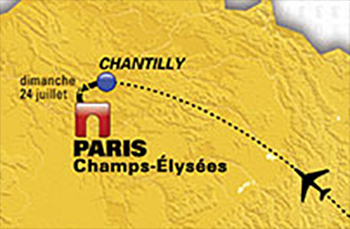 arriving on a fully-loaded bicycle also meant the possibility of a few kilometres of touring while i was there. nice work if you can get it. the irony of that first expedition was the route taking in the island of arran, one that i had seen from our previous home on the scottish west coast for over twenty years, yet never once visited during that time. i have never been one particularly adept at reading maps, not so much from the directional point of view, but definitely from a topographical angle. in other words, as far as my route finding was concerned, the world was perfectly flat. thus, when sailing towards the islay ferry's mainland port at kennacraig, on viewing a rather steep looking road while stood on the boat deck, i congratulated myself on not having need of riding such an imposing gradient. you will have guessed by now that the aforementioned ascent was at the very outset of my bike ride, meaning that my overloaded bicycle had to be dragged kicking and screaming up a 14% incline. as i reached the summit, i cannot say that that it didn't occur to me to question why road signs pertaining to steep gradients always seem to be at the top, but never at the base. why would a 14% downhill be anything to worry about? i won't pretend that first trip from islay to prestwick via arran went swimmingly well. a poorly designed cycle route leading from ardrossan to irvine made the going less than amenable, not eased by passing behind a housing estate from which copper piping was thrown in my direction. however, as one familiar with the area, finding my way from a to b was never particularly onerous. 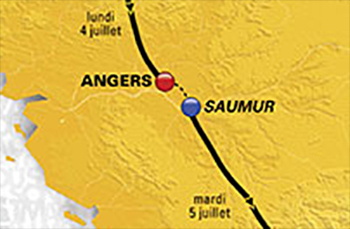 i've since ridden from london to paris on a couple of occasions, but that was in the company of several hundred other cyclists, guided the entire distance by motorcycle outriders and a lead car. i've ridden in portland oregon on two separate occasions, but the city's cycling infastructure made that relatively easy and on most occasions, i was riding with local residents. my few days in provence with the nice people from rapha was once again guided at every step of the way and always featured mechanical assistance only a hand-signal away. embarrassingly enough, solo riding in london was far less successful. yes, i had maps, but simply downloaded from google and bereft of a whole bunch of necessary street names. 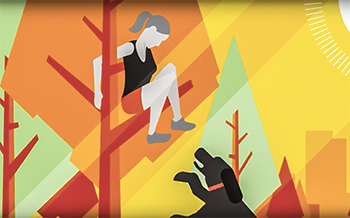 maybe an orienteering class wouldn't have gone amiss? however, if i had need of heading off into the sunset in a more convoluted fashion than described above, i think that particular evening class would be checkbox number one. or is modern technology trying to tell me otherwise? i have featured more than just one device on the post that promises to make the art of getting lost as distant as the valve radio has become. from the ubiquitous gps handlebar-mounted devices, have come increasingly smaller items that only stop short of providing a quality double-espresso, the most recent of which i know being the shoka bell. 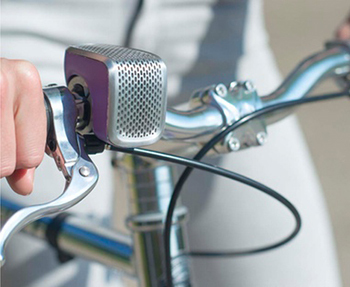 naive enough to expect this simply to be a bicycle bell, this device which naturally enough, connects to a smartphone via the inevitable bluetooth, offers an impressive eight different sounds including a user recorded message all of which can be adjusted for volume. 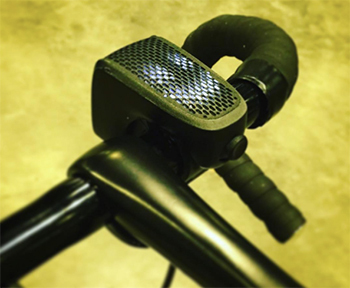 the internet of things demands that each time the shoka bell is rung, it is shared with others, warning other cyclists of awkward difficulties that might impede their progress. this is actioned via 72 light-emitting-diodes on top of this compact and bijou device. were that not enough, it also works as a light and an alarm. though my faith in technology has diminished as the years pass, and while still more than intrigued as to where it might head next, i do wonder about the distraction some of this technology provides to the average and not so average cyclist. as one who ostensibly lives in the middle of nowhere, i find my surroundings of great interest, combined with my paying attention to traffic conditions in order that i arrive home in the same condition as i left. in a more urban setting, i would imagine the latter mode of perception is one that has need of being honed close to perfection. it's a jungle out there. 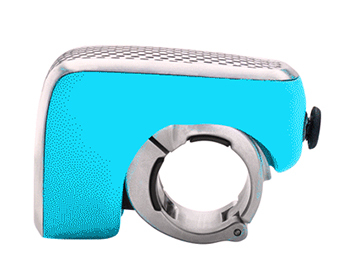 thus, a phalanx of gps enabled doo-dads attached to the handlebar, all connected to a smartphone in a back pocket and designed to ease any lapses of directionality, will surely divert the attention from the bike ride itself? 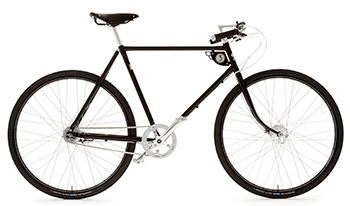 i do realise that many individuals cycle as a means to an end rather than for the simple enjoyment of so doing, but it often seems that kickstarter is hell-bent on removing the last vestiges of innocence and wonder that cycling provided us with when we were young. 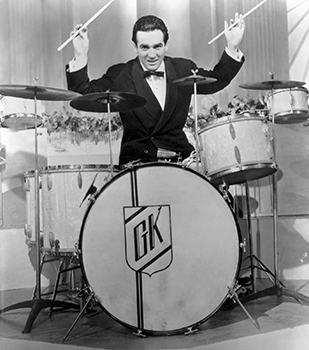 gene krupa is regarded by many as the father of the modern drumset. a slingerland endorser from the early years on joining benny goodman's band in 1934, he persuaded the drum company to provide him with tuneable toms. prior to this insightful intervention, the toms appearing on the great american drumset were akin to chinese and african drums, with calfskin heads tacked to the shell. the only variations in tuning were often inadvertantly achieved through variations in ambient temperature. suddenly drummers had a tad more control over their sound. additionally, those two cymbals on a stand known as the hi-hats were previously referred to as low-sock cymbals, sitting about ankle height and unplayable with sticks. krupa was one of the guiding lights behind moving them upwards and level with the snare drum. in my copy of the gene krupa drum method, first published in 1938, the author advises selecting two avedis zildjian 11 inch cymbals because "you will find them most suitable for all around work". on the basis that the current hi-hats of choice tend to be around 14" in diameter, it is notable that drumming life has moved on since 1938.
krupa's slingerland drumset consisted of bass drum, snare, a bass mounted tom tom and two identically sized floor toms. 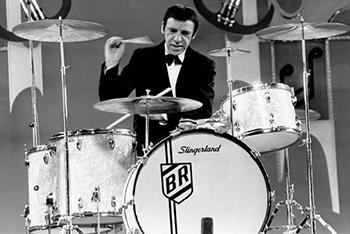 his successor in the western drumming hierarchy, buddy rich, adopted the very same setup, alternating between white marine pearl slingerland, rogers and ludwig, depending on his disposition at any given time. he did, however, remain mostly faithful to zildjian cymbals throughout his long career. buddy definitely favoured slingerland drums, but, realising that he would never be their premier endorser while krupa was around, he often found comfort and a benevolent financial regime at the ludwig drum company. however, in his last years (rich died at the age of 69 in april, 1987), he played a refurbished set of slingerland radio kings, apparently quite enthralled by their sound, particularly the snare. however, it was a definite quirk of buddy rich that the second floor tom rarely saw active service, finding itself most often used as a table for his towel. and where is the slingerland drum company today? the gained decent market share in the 1980s before the corporate finances fell apart and the brand was sold on to the makers of gibson guitars, where it has languished unloved and mostly unproductive ever since. several of slingerland's latter day employees recently banded together to form the chicago drum company building kits and snares in the fine tradition begun by henry heanon slingerland in 1913.
tentatively, i might compare the fortunes of the slingerland drum company with that of italy's colnago. in similar fashion, vintage steel colnagos are as sought after on ebay as are original radio king snare drums and where once the marine pearl covered drums were under the sticks of two of the tradition's finest ever practitioners, yet currently nowhere to be seen, colnago bicycles are conspicuous by their absence from the professional peloton. in this year's tour de france, while their italian counterparts at pinarello were ultimately successful in paris, ernesto's bicycles were quite literally, not in with a chance. despite what must be costing pinarello a smidgeon more than coffee money each year to provide mr froome and his pals with dogmas and bolides, they recently announced a three year extension to their contract. in 2015, tommy voeckler had his choice of c60 or v1-r, but this year his direct energie team is astride bicycles supplied by bh, quite possibly on the basis that colnago were unable or unwilling to part with the amounts required to kit out even a pro-continental team. in truth, the sponsorship game is a fickle mistress, one not always mastered by those involved. 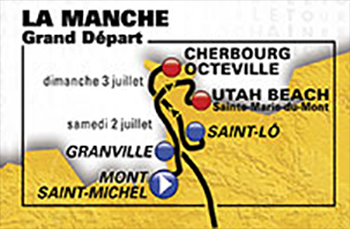 despite the previously mentioned voeckler holding the tour's maillot jaune for ten days in the 2011 tour de france and being provided with an appropriately yellow painted c60, the only time rider and bicycle were to be seen in a press advertisement was that of hutchinson tyres. it costs a lot of sponsorship money at that level; it seems very odd not to capitalise on such high profile success. 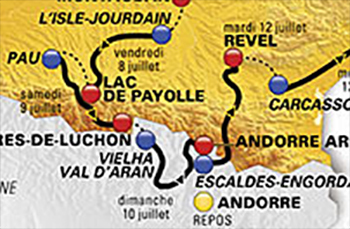 pinarello, on the other hand, have acquired 136 victories with team sky alone, including 27 time-trials and twelve national championships, so they have at least some bang to show for their buck. in the past, the 'asso di fiori' has appeared on the head tube of bicycles made for legends such as gianni motta, eddy merckx, guiseppe saronni and johan musseuw, there has been the famous liaison with ferrari leading to the straight precisa fork, while the infamous c40 has been victorious at paris-roubaix on five occasions. 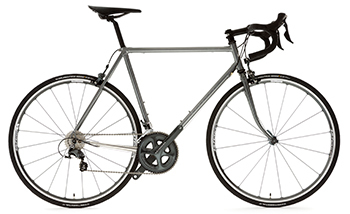 i fervently hope that colnago does not become the slingerland of the bicycle world. a white marine pearl version of the c60 would look very cool. remember when we were great? last thursday i posted an article in which i quoted sir brailsford as saying "we weren't a cycling nation a few years ago. we are now. ", a phrase that may have gained even more credence after this past weekend's ride london, an event that offered an opportunity for not only the cream of the professional peloton to strut their stuff in front of an adoring public, but for that selfsame adoring public to ride the same course. though we in the peripheries of the united kingdom often feel somewhat distanced from this continual concentration of cycling activitiy in the country's capital, there's no denying the fact that there are more people living in london than in the whole of scotland. economics has a tendency to act as dictator. while the scottish government often dithers over the provision of a unified cycling network, london's mayor is already expressing optimism over plans to extend the capital's north-south cycle superhighway. i have little to no idea as to the predicted cost of this project, but i'd be willing to bet that it's a few bob more than is being spent north of the border. 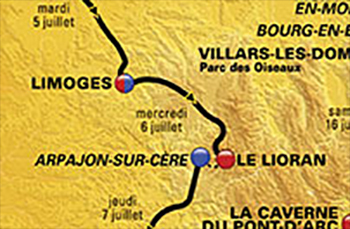 carping aside, the benefits of the so-called wiggins effect and possibly the aftermath of the 2012 london olympic games, there's little doubt that sir brailsford is correct in his statement, though he may have had the competitive realm uppermost in mind when speaking after a successful team sky campaign at this year's tour de france. however, though i now have considerably less trouble engaging the civilian population in conversation about velocipedinal matters than was once the case, there is little doubt that we are somewhat deficient in one respect of our conversion to a nation of cyclists. the publication of the excellent made in england book of only a few years past, which highlighted the work of several of britain's foremost bicycle framebuilders, does not totally detract from the fact that cycle manufacturing in britain, once something to be particularly proud of, is currently all but non-existent. raleigh and several other former flag-bearers are now reduced either to simply warehousing boxes of far eastern product, or at the very least, assembling that which originated in taiwan. at the risk of omitting those of which i know not, or have failed to remember, the current act of flag-bearing has landed upon the sturdy shoulders of the brompton cycle company, and possibly britain's best kept secret, pashley cycles. the latter were suppliers of those bright red bicycles utilised by the royal mail until the latter opted to switch most of their transport needs to the considerably less environmental red van some years ago. britain's former premier cycle manufacturer was founded as raleigh cycles in 1888, but ceased manufacture in the uk seventeen years ago in 1999. the turnaround from producing 10,000 bicycles in 1979 to sourcing from the far east took a mere 20 years, by which time the company was owned by the derby cycle corporation. it is currently under the ownership of holland's accell group. 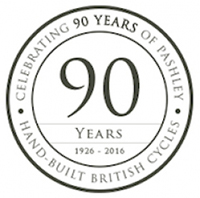 pashley, on the other hand, is now ninety years old, having been founded by william rathbone pashley in birmingham in 1926. aside from an admirably conceived script logo, pashley has continued to manufacture what we might describe as sit-up-and-beg style bicycles, the sort of bicycle that might be seen in the likes of downton abbey, but which i would contend is every bit as relevant today as it was then. but pashley have not rested on yesterday's frame blueprints, celebrating their ninety years in the business with the introduction of two substantially different models: the speed 3 se which, as the name might suggest, is powered by a sturmey archer three-speed hub gear (ironically once owned by ti raleigh) and reminiscent of the art deco period in the 1930s. as if to underline their appreciation that that bicycle market has not remained firmly entrenched in the early part of the twentieth century, the speed 3 se is accompanied by the roadfinder se an overtly 'retro yet modern' road bike featuring a reynolds 725 steel frame kitted out with shimano's eleven speed ultegra groupset and a brooks' (another company formerly owned by raleigh) c13 carbon saddle. 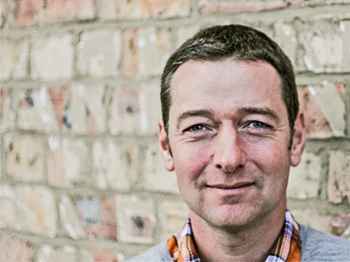 pashley's general manager, steven bell said; "Pashley is unique; it is one of the last UK bicycle businesses that actually manufactures its own bicycles and offers the most extensive model range of all of the remaining UK makers. 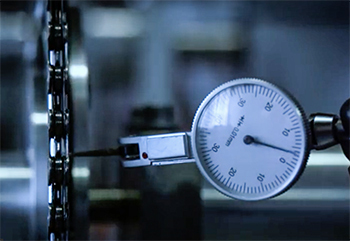 We are rightly proud of our products, our factory and our employees." and so they should be. carbon fibre is not the be all and end all, though sir brailsford might be less than inclined to agree.